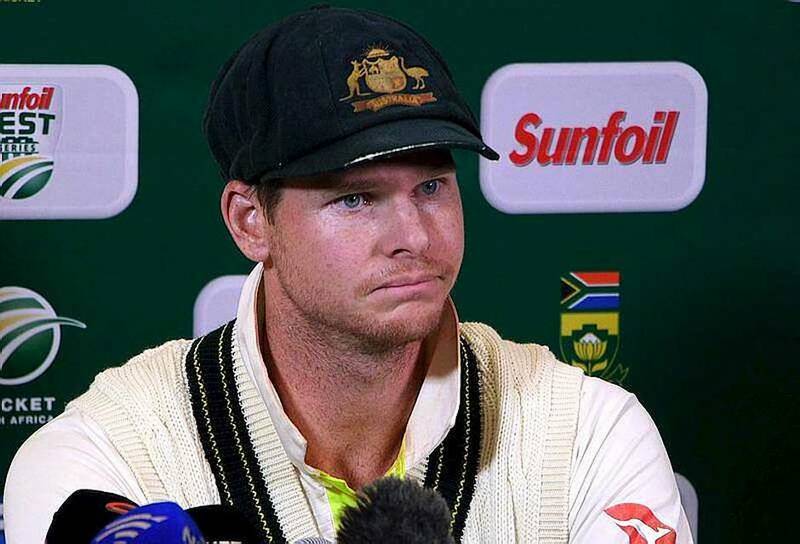 Home Australia Ball Tampering Sand Paper Gate Australia in shock of "Sand Paper Gate"
Australia in shock of "Sand Paper Gate"
A piece of tape and a whole sport is shaken. In Australia, where cricket is king, the captain of the Australian team is caught in a cheating scandal. The reason? This piece of ribbon, to change its trajectory. In the Commonwealth, cricket is king. The sport of bat attracts more than one billion and a half of followers, around the world and in particular in Australia, India, South Africa... No wonder that when a scandal explodes in this sport of bat, it shakes a whole country. That's what is happening right now in Australia, where one of the newspapers is focused on cheating on his national team captain, Steve Smith. Sunday, during a test match against South Africa, the most prestigious format, over five days, he admitted to cheating while trying to destabilize the trajectory of the ball, with tape, with the complicity of his teammate Cameron Bancroft. Except that the subterfuge was caught by the cameras before the latter tries to hide the action by hiding the adhesive in his pants. A national tragedy for Australians, which even pushed Prime Minister Malcolm Turnbull to intervene. He evokes a bitter disappointment. It completely defies understanding that the Australian cricket team is involved in cheating. In the eyes of Australians, the captaincy of the national cricket team as prestigious as his prime minister. Seeing such a maneuver at the head of the national team, especially in a sport of "Gentlemen" is a source of disappointment, far from the Australian mind. The Australian press has seized the case, claiming the shame of such a case, henceforth nicknamed "SandPaperGate". Even the old legends of cricket are indignant. They are nearly 450 to have worn the green cap of the team, which is considered an honor. Former pitcher Rodney Hogg lamented on Twitter: "Unfortunately, it's pure cheating and Steve Smith has to resign from his position." Jamie Fuller, chief executive of Skins, sportswear manufacturer, "Cricket Australia (CA), the governing body of sport, must show good governance in the face of scandal. If they do not, there will not be only the national team that will be shamed. It will be you all. It will be cricket. It will be us all." For the moment, Smith has been given a suspension match by the International Cricket Council. But the case should keep talking. Especially since sport is extremely popular in Commonwealth countries. Thus, for example, in 2017, the Anglo-Welsh Cricket Federation, gave up the rights of the competition of its national team for nearly 1.25 billion euros.